← Pool Party at Sugar Art!! Create a beautiful decorated daisy flower bouquet for a wonderful Mother’s Day gift! 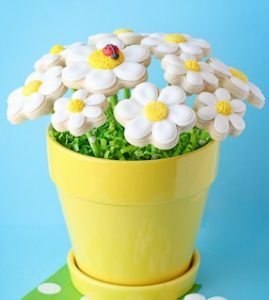 You will decorate and arrange your cookies in a container and finish them by adding a ladybug or bumble bee to your flowers. You will use use an assortment of decorating tools and edible decorations. Recommended for ages 5 and up.